I stopped at the Hampton Victory Garden on Sunday afternoon. Four days had passed since my last visit and I could not believe how much things had grown in such a short period of time. Rain plus heat equals growth and we’ve had both of these ingredients in the last few weeks. Generally, things are booming in the garden around the Fourth of July. I’ve been eating snap peas for the last week and my lettuce has been delivering a steady supply for three weeks. My potato plants have flowered and I dug up one little red potato on Thursday. Once again this year, I have planted too much arugula and it’s bolting. 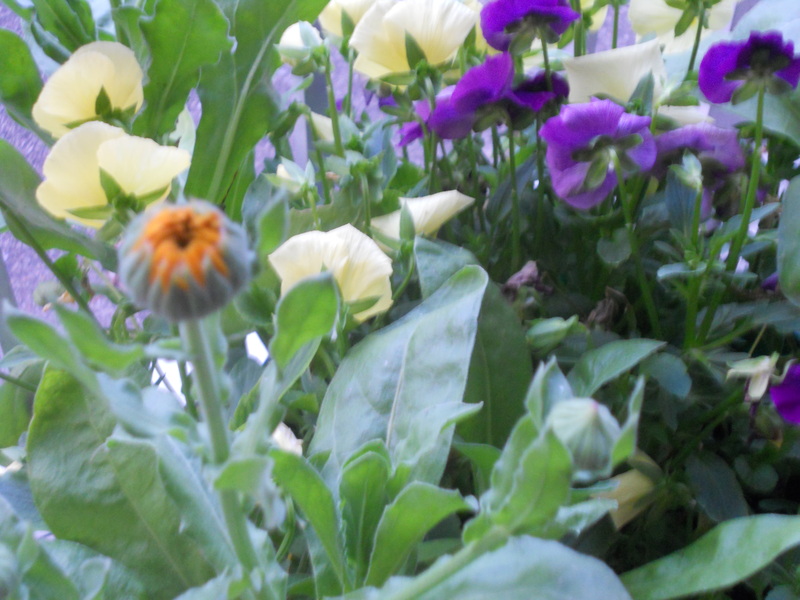 My dream-inspiring medicinal flower, Calendula, is blooming, too. This moment in the garden is beautiful and dangerous. It’s easy for me to get comfortable and say to myself “no worries, I can just sit back and let things grow. Maybe I’ll go to the beach instead of the garden.” From personal experience, I know this is not the time to go to the beach. It’s time to make a few extra trips to the garden and pull weeds because if your plants are growing by leaps and bounds, so are your weeds. Of course, if your vegetables and flowers are well established, healthy, and strong, a few weeds don’t really matter and seasoned gardeners know this. I’m not directing my suggestion to the seasoned gardener. For the new gardener, there is a lot of excitement in starting a garden. A new community gardener will plant a stellar garden in April with symmetrical beans, tomato, and squash plants. Ornamental flowers will accent the green vegetables with little bursts of color. Things are beautiful in that new little garden. The weeds are just a green mist around the edges. To all of you who have lost your gardening moxie, I want to encourage you to KEEP GOING! Resist the siren song of the lawn chair for just a few minutes this morning and gussy up your garden. A little weeding can go a long way and you might be surprised to find your garden has become a sign and a wonder to another gardener. Weed your garden; WEED IT! This entry was posted in Hampton Victory Garden and tagged encouragement, fireworks, Fourth of July, new gardeners, weeds. Bookmark the permalink.